Today we handed back a great item to one happy customer. 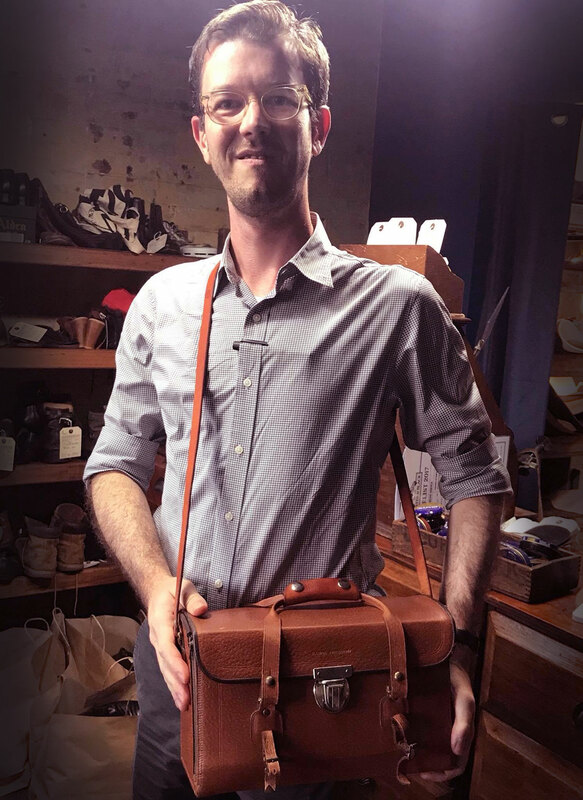 A vintage camera bag that we had restored from an initial sorry state. Here he is looking pretty happy.